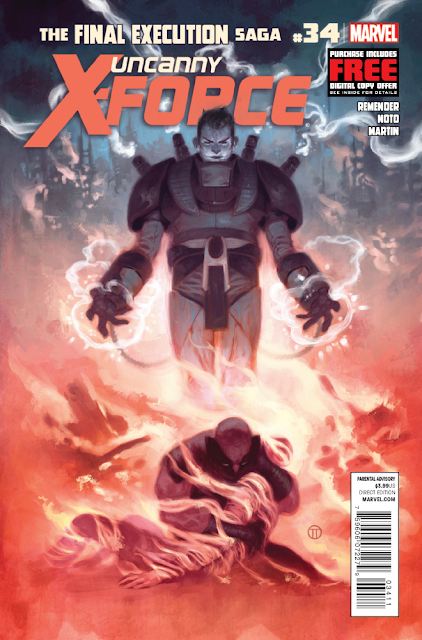 Uncanny X-Force #34 comes out tomorrow November 21, 2012. A preview of this issue can be seen here. • FINAL EXECUTION races to its thrilling conclusion! • X-Force brings the attack to the Brotherhood, but there is dissension in the ranks. • Genesis faces the truth about Apocalypse and his destiny!